Journey 2 Milfhood: Motherhood. Insight. Life. Fitness. : Pokemon Go! Pokemon GO is a game changer. The game is getting kids up and moving and interacting with their peers and community instead of sitting in front of a television, or tablet, & I LOVE IT! When I heard that Pokemon was releasing a new app, I was hesitant about downloading it for my 7 year old, Pokemon obsessed, son. But, many people recommended it...so we gave it a shot. 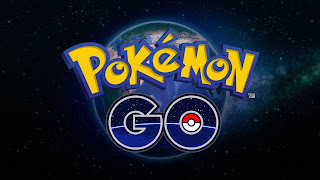 Basically, the game uses your phone's GPS, and places pokemon characters around the town for you to physically (through your phones camera) go out and catch. They also have designated areas for you to go and battle your pokemon (like local schools, churches, water towers, etc.). I have seen so many people outside playing Pokemon GO...& to be honest, it has been both strange and pleasant to see so many people out walking around the neighborhood. So far I have seen people aged 7 to 29 playing this game. I played for a little bit, and can definitely see why people are becoming obsessed. Happy hunting! :) - What apps do your kids love?